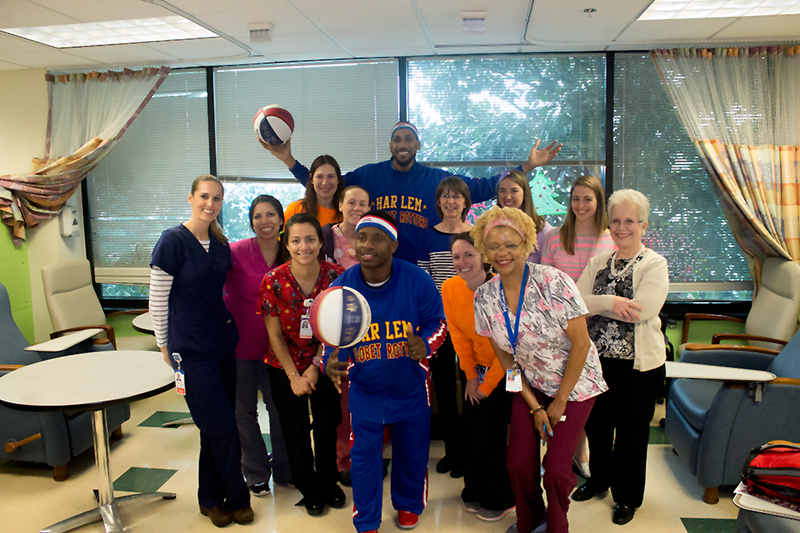 Pediatric Specialists of Virginia received a special visit from Zeus and Too Tall of The Harlem Globetrotters at our Center for Cancer and Blood Disorders (Falls Church, VA). Zeus and Too Tall presented a special patient and family with tickets and autographs and also signed autographs and posed for pictures with our other patients in families in the clinic. PSV would to thank Zeus, Too Tall, and The Harlem Globetrotters for visiting our Center for Cancer and Blood Disorders and putting a smile on our patients' faces! We all truly enjoved seeing your tricks, learning about the team's history, and watching how great you were with our patients and families, staff.